Modern architectural interiors demonstrate innovative design and gorgeous materials. 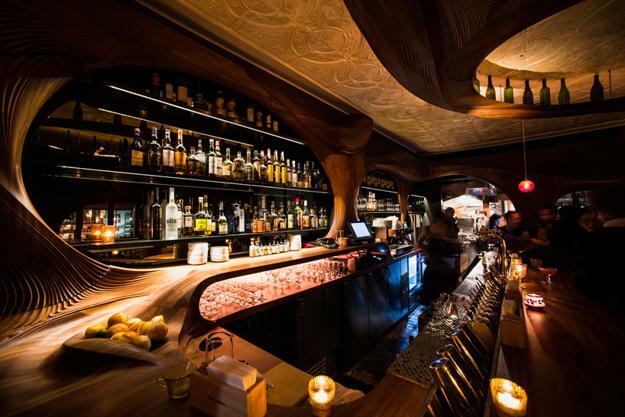 Bar Rabal in Toronto is an example of gorgeous bar design with red wood. Grant van Gameren was ready to build a place that is going to be around for 100 years. The chef and restaurateur said that he wanted a place where people will petition if it is going to be torn down and sold. Lushome presents the amazing interior design with red wood. The designer Alex Josephson and his firm Partisans designed the space. Rich and impressive, fascinating and modern interior design created the most beautiful bar in Toronto. The bar design represents a significant move for the chef but even more so for the designers. 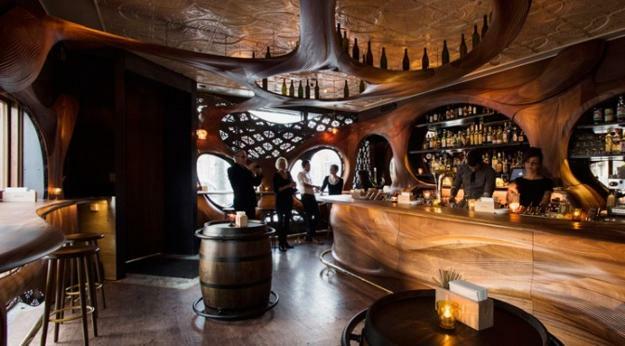 It is unique and amazing bar design though modest in scale. The adventurous bar design, exclusive materials and fabulous craftsmanship created a truly unique and stylish place. 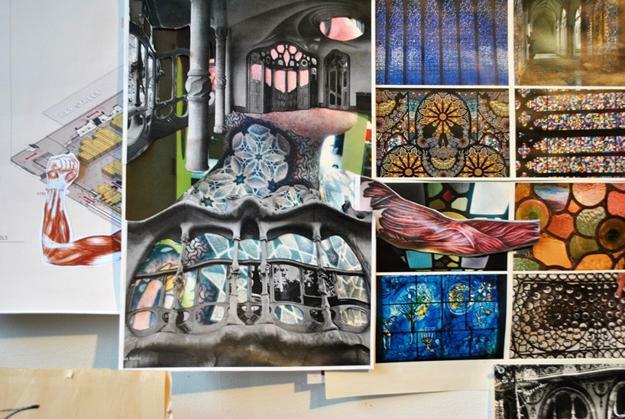 A bold fusion of styles marries Spanish Art Nouveau with contemporary digital tools. 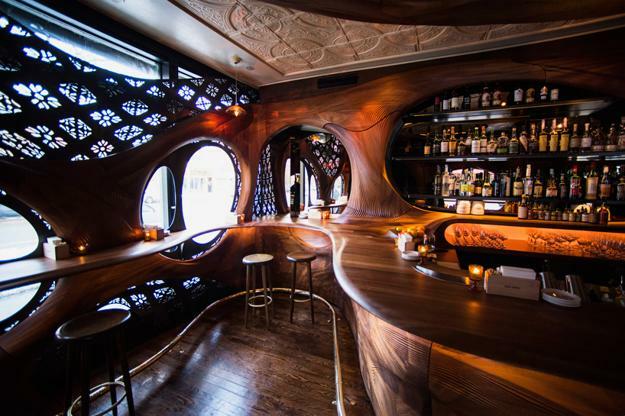 Computers, tattoos and a love for the Wu-Tang Clan give character to exquisite bar design. 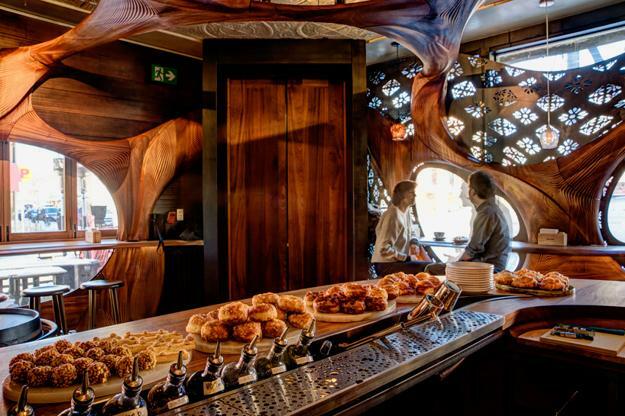 This bar design is an expression of a bold, personal vision. the old ceiling is covered by mahogany wood that forms a sort of a chandelier. 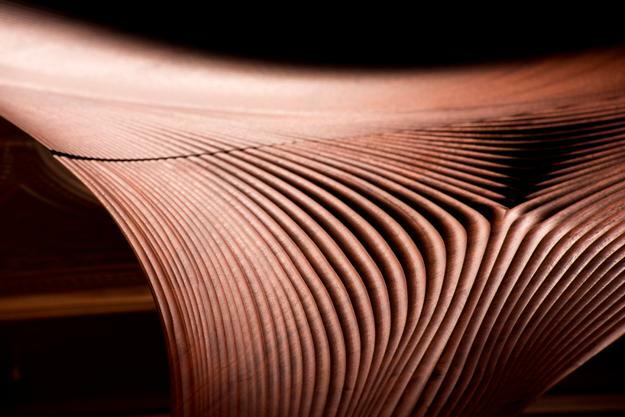 This wood is sculpted into voluptuous bulges and scored with an intricate pattern of lines generated by computer. 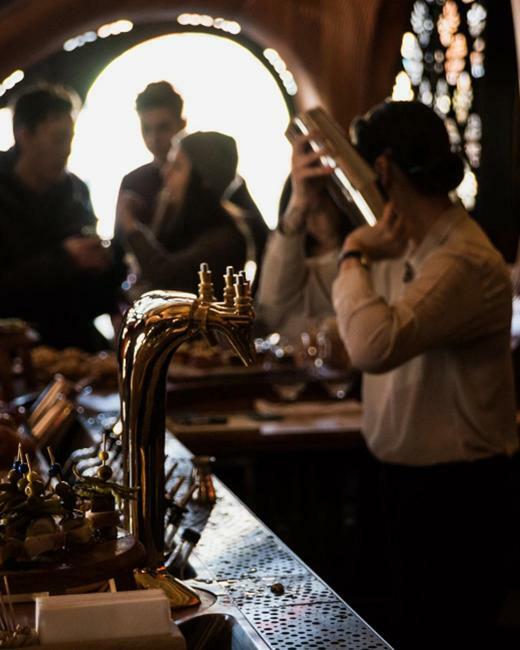 The bar itself is solid, oiled to a lustrous finish. Laser-cut steel screens cover much of the windows and relegated the outside world to a dim, cold memory. 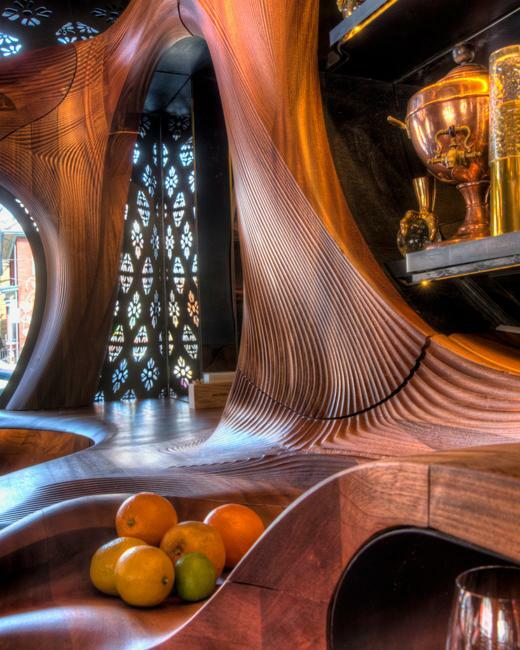 The sound bounces comfortably around the curvy room design elements, creating comfortable and original bar for all who appreciate interior design in Art Nouveau style. Passion and innovative design created this amazing bar in Toronto. The bar design has an adventurous vibe. Even if it is not for everyone, people enjoy visiting the bar which make happy its fans.